03 19 Thursday evening of last week a banquet was given at the home of W. D. Sproesser in Clyman Street in honor of the 70th birthday anniversary of Joseph Terbrueggen, in which a number of business men and prominent citizens of this and other cities participated. Mr. Terbrueggen was the subject of hearty congratulations, and the following named gentlemen sounded his praises in appropriate little speeches: Circuit Judge George W. Grimm and George Kispert of Jefferson; William Schroeder of Milwaukee, Ulrich Habhegger, Hon. Wm. F. Voss and Dr. C. R. Feld of this city. Several vocal selections were rendered by a male quartette composed of Edward L. Schempf, Wm. Sproesser, Max Rohr and Julius Wiggenhorn. Mrs. W. D. Sproesser and her amiable corps of daughters served the banquet in a very creditable manner. Mr. Terbrueggan is one of Watertown's most esteemed and enterprising gentlemen and this compliment to him on his 70th birthday anniversary was a worthily bestowed one. He was born March 11, 1839, in Nordwalde, Germany, and in 1864 he located in Watertown, since which time he has been connected with many of our local enterprises. 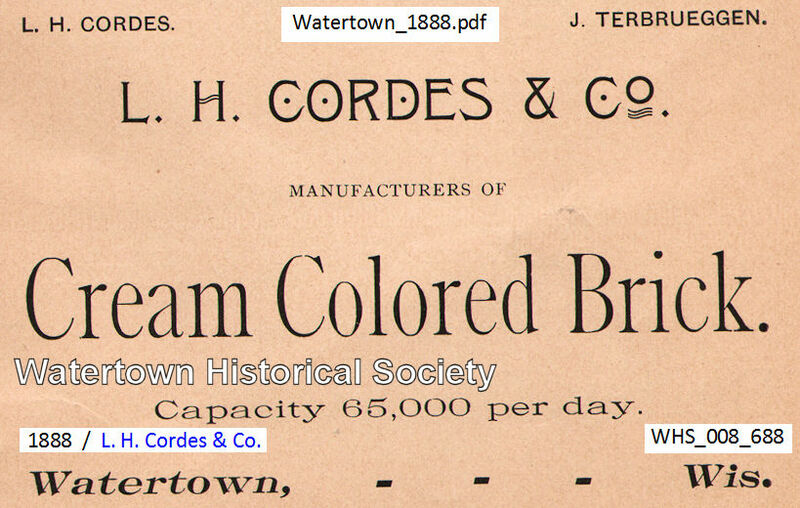 For a number of years he was engaged in the wholesale liquor business here with the late W. J. Toussaint, and in 1889 he and his partner, in company with L. H. Cordes, established the Watertown Electric Light plant, which was disposed of three years ago to the John I. Beggs interests. 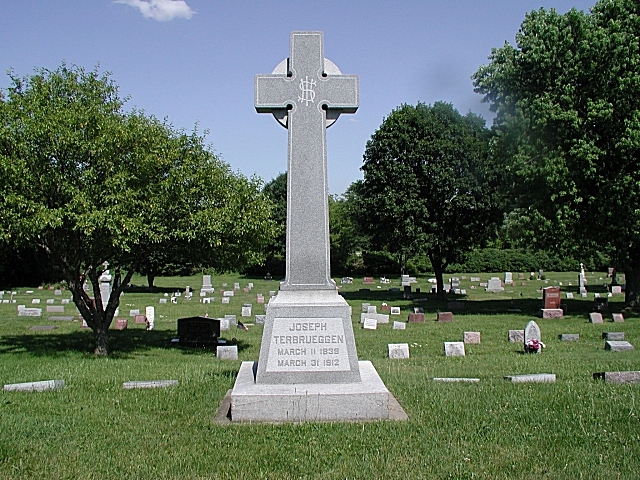 04 04 Sunday morning Joseph Terbrueggen died of heart disease at St. Mary’s Hospital, where he had been only since the previous Friday. His death was learned of with sincere sorrow. Deceased was born in Nordewalde, Germany, March 11, 1839, and in 1864 he located in this city and engaged in business here. For about 30 years past he was a member of the brick manufacturing firm of L. H. Cordes & Co. In 1889 he was one of a company of three who put in the electric lighting system in our city and the company later disposed of the plant. 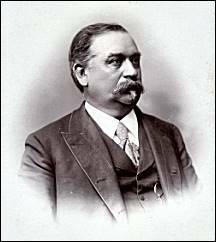 In 1892 he was one of the incorporators the Merchants National Bank and was its first president, and at the time of his death was chairman of the board of directors of the bank. During his long residence here he always identified himself with the best interest of our city and took great interest in its general welfare . . .